We’ve been obsessing over local duo Sad Baxter for years now, who, with their grungy riffs, pop accessibility, and personal and melancholy themes craft typically sad, sarcastic songs which are delightfully juxtaposed with singalong worthy hooks, making them an essential rising act in Nashville’s flourishing underground rock scene. Their debut LP, Weirdy, arrived in 2016, and since then the group have only managed to generate more and more buzz, touring the country honing their fun, engaging live show, and crafting one of our favorite records of last year with their fantastic followup EP, So Happy. Ahead of plans to hit the road in late April with fellow local faves Reality Something, the duo of guitarist/vocalist Deezy Violet and drummer Alex Mojaverian returned this week with their first new track since last summer, a particularly earnest and melancholy new tune called “The Atmos,” in which Violet ponders the untenable distance of a crumbled relationship. 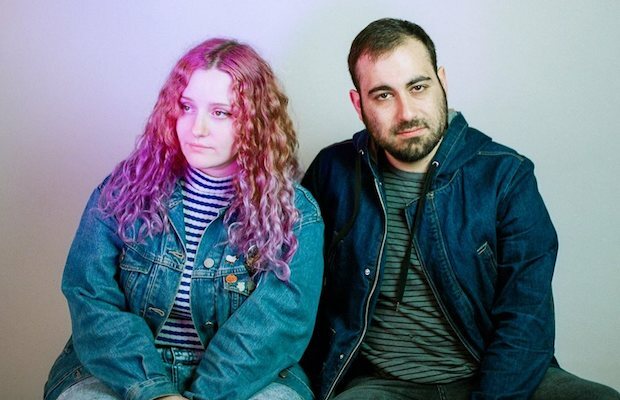 Hard-hitting, heavy yet poppy, and mesmerizing in all the ways we love about Sad Baxter’s signature sound, the brisk tune is an exciting indicator of new music to come, and will definitely be a staple of our spring playlist rotation. Hear “The Atmos” below, then catch Sad Baxter live April 13 as part of Vinyl Tap‘s Record Store Day celebration, and again April 24 at Drkmttr to kick off their tour with Reality Something, along with Datenight and Lonely Parade!